Front Block mount for a single to dual point set up. This new Front Mount Q.D. 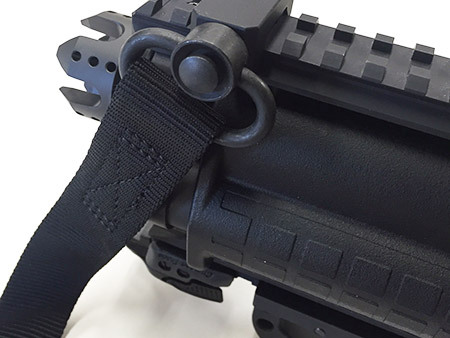 attachment block easily installs yourself to your KSG with no permanent modifications. Universal. Installs on both Left or Right side. This Q.D. 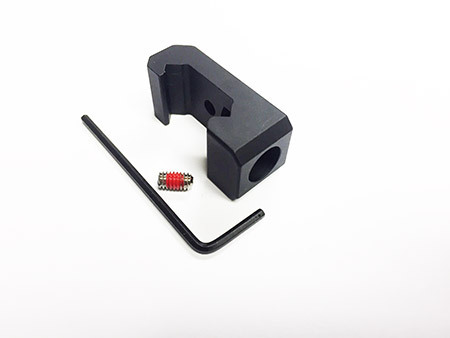 Block was specifically designed and manufactured for the KSG by us at Hi-Tech Custom Concepts. 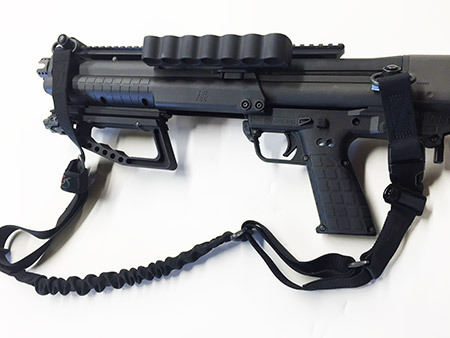 Used to Convert to Dual point sling when you need to carry the KSG over your back. Machined by us at Hi-Tech Custom Concepts right here in NY, USA. - Locks into place with included locking aluminum bar and Nylock set-screw. - Complete directions included for do-it yourself installation.